In case you don't know, Style Statement Tuesday is way for me to chronicle my outfits and discuss how/if they fit my style statement, which I've defined as 'Classic Pretty.' It's also a place for you to link-up your outfit posts and inspirations. To read more about Style Statement Tuesday, click here. Lately, I've been feeling very uninspired when it comes to my style/clothes. In part, it has to do with the fact that I've been trying to lose about 10 pounds. I'll succeed in losing 4-5 pounds, then I'll gain it back. Basically, it has me feeling unhappy with anything I put on my body. But anyway, this is Style Statement Tuesday, not Shrink Sessions Tuesday. I'll move on. This week's outfit is the kind of outfit I wear all summer. It's an easy look that keeps me cool in the Tennessee heat because it's June and already 90 degrees y'all. I think this look is extremely safe and very "classic." I like that the shoes add a little texture and pattern. I'd say it fits my style statement, but it doesn't blow me away. I'd probably wear this out to lunch, to a concert, or while shopping. I've recently taken to wearing my chambray top open over tanks, and I really like how it looks. It gives me a reason to wear it more often, which I love! Link up & share your style! A very easy outfit for summer! I'd totally wear this somewhere that the AC is powerful, like the movie theater. I like Chambray but still call it denim - lol. 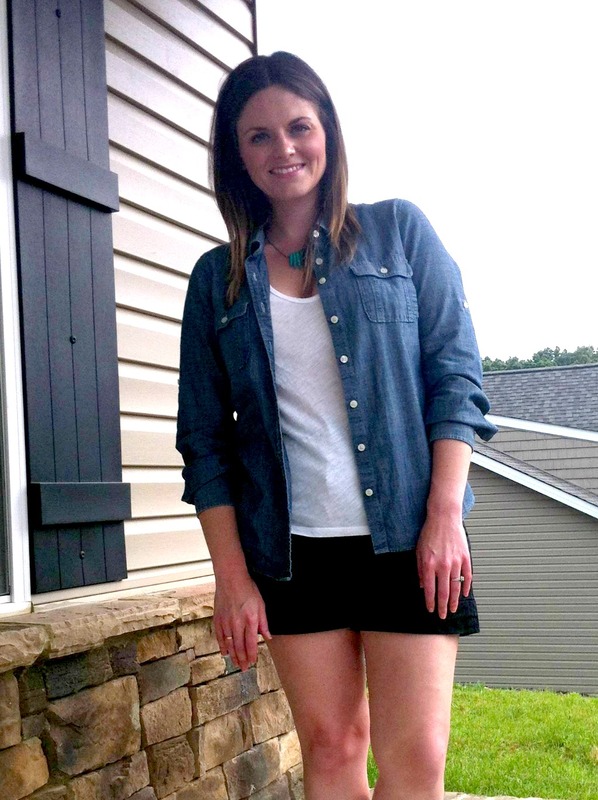 Wearing a chambray/denim dress today and will post tomorrow. Have a fantastical day. I've been feeling the same way! Which is exactly why I linked up once and haven't posted since...I just feel blah in all my clothes! You look great though, and your outfit is perfect for summer! 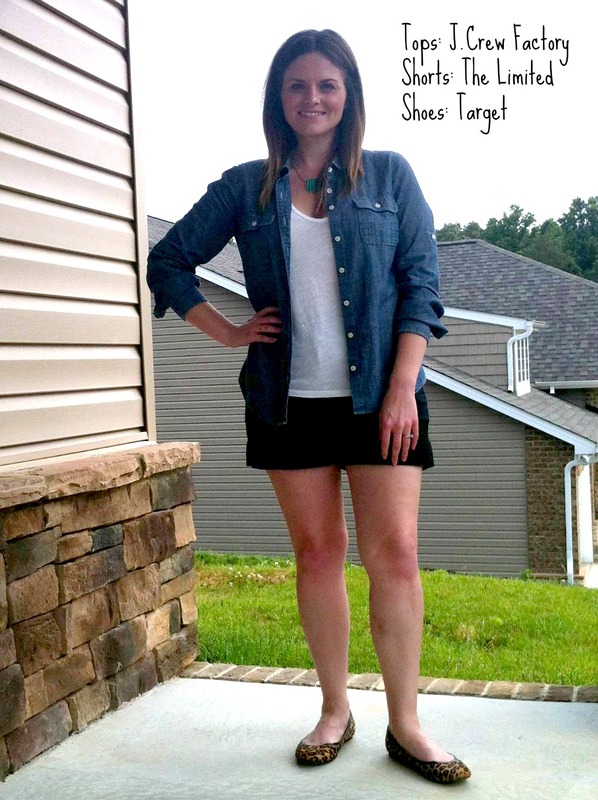 I love that you take a chambray shirt and pair it with shorts! It's a good example of how to take a piece that is considered colder weather and bring it into summer!